People For the American Way is among more than 180 civil and human rights organizations that wrote to senators on September 3 to outline in stark detail the strong and mounting case against Brett Kavanaugh, President Trump’s nominee to succeed Justice Anthony Kennedy on the U.S. Supreme Court. You can download our letter here. On behalf of The Leadership Conference on Civil and Human Rights, a coalition of more than 200 national organizations committed to promoting and protecting the civil and human rights of all persons in the United States, and more than 180 undersigned organizations, we write to express our strong opposition to the confirmation of Brett Kavanaugh to be an Associate Justice of the Supreme Court of the United States. The fact that President Trump is now an unindicted co-conspirator to federal crimes committed to influence the outcome of the 2016 presidential election calls into question the legitimacy of his nomination of Judge Kavanaugh to the Supreme Court. The Supreme Court will likely be called on to resolve issues related to the extent to which President Trump can be investigated, subpoenaed, indicted, or prosecuted, and Judge Kavanaugh’s longstanding advocacy for presidential immunity from criminal or civil liability renders him incapable of being impartial in such matters. As Ranking Member Feinstein observed at the August 23, 2018 Senate Judiciary Committee meeting: “History will not look kindly on rushing through a Supreme Court nominee chosen by a president facing significant legal liability and seeking to obstruct a criminal investigation of his wrongdoing.” Judge Kavanaugh’s hearing should not go forward. Furthermore, there should be no hearing for Judge Kavanaugh until all of his Bush White House records are turned over to the Senate and the American people. Defying decades of Senate tradition and precedent, Senate Judiciary Committee Chairman Grassley has rejected bipartisan cooperation, disregarded the neutral review role historically played by the National Archives, and established a corrupt records review process led by a partisan lawyer who once served as Judge Kavanaugh’s deputy in the Bush White House. Indeed, the National Archives has noted that such a process “has never happened before” and that the documents released by Chairman Grassley thus far “do not represent the National Archives.” As a result, the Senate and the American people have had access to only a fraction of Judge Kavanaugh’s White House records, and virtually none of his records from his service as the White House Staff Secretary for President George W. Bush. When Justice Elena Kagan was nominated to the Supreme Court in 2010, by contrast, over 99 percent of her Clinton White House records were made public. As Chairman Grassley stated on June 15, 2010 with respect to the nomination of Elena Kagan to the Supreme Court: “In order for the Senate to fulfill its constitutional responsibility of advise and consent, we must get all of her documents from the Clinton Library and have enough time to analyze them so we can determine whether she should be a Justice.” Chairman Grassley has adopted a partisan and troubling double standard. The Supreme Court is the final arbiter of our laws and Constitution, and its rulings dramatically impact our rights and freedoms. Every Supreme Court vacancy is significant, but the stakes could not be higher in deciding who will replace Justice Kennedy – who served as the deciding vote in nearly all the momentous cases of the past dozen years. Critical civil and human rights issues hang in the balance, including access to health care for millions of Americans, the ability of women to control their own bodies, voting rights, labor rights, economic security, rights of immigrants and persons with disabilities, LGBTQ equality, equal opportunity and affirmative action, environmental protections, and whether the judiciary will serve as a constitutional check on a reckless president. Judge Kavanaugh’s 12-year record on the U.S. Court of Appeals for the D.C. 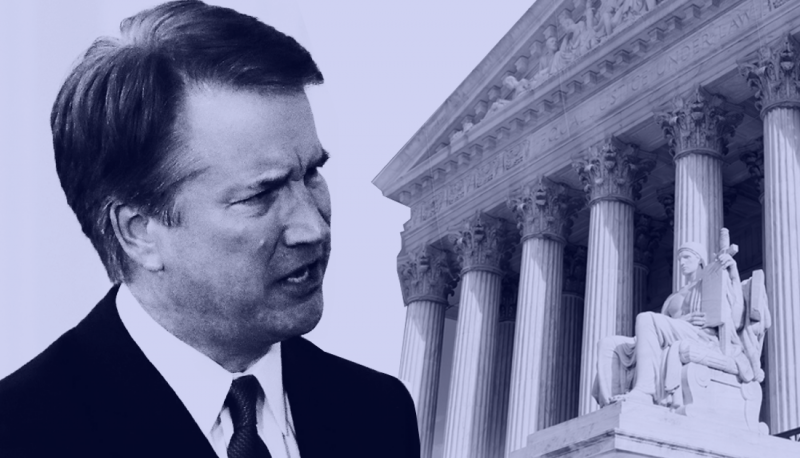 Circuit, as well as his known writings, speeches, and legal career, demonstrate that if he were confirmed to the Supreme Court, he would be the fifth and decisive vote to undermine many of our core rights and legal protections. In case after case, he has ruled against individuals and the environment in favor of corporations, the wealthy, and the powerful. He has advanced extreme legal theories to overturn longstanding precedent to diminish the power of federal agencies to help people. And he has demonstrated an expansive view of presidential power that includes his belief that presidents should not be subject to civil suits or criminal investigations while in office despite what misconduct may have occurred. Many of our organizations opposed Judge Kavanaugh’s nomination to the D.C. Circuit, and our fears and concerns have been realized. Judge Kavanaugh has not served as a neutral and fair-minded jurist. He has served as a conservative ideologue who lacks the impartiality and independence necessary to sit on the highest court in the land. Moreover, Judge Kavanaugh’s nomination to the Supreme Court was the product of a deeply flawed and biased process in which President Trump outsourced his constitutional duties to two right-wing special interest groups: the Federalist Society and Heritage Foundation. These extremist organizations pre-approved candidates, including Judge Kavanaugh, based on the dangerous and unprecedented litmus tests that President Trump put forward as a presidential candidate. In a 2016 presidential debate, he said that his Supreme Court appointees would vote to overturn Roe v. Wade. He said: “If we put another two or perhaps three justices on, that is really what will happen. That will happen automatically in my opinion. 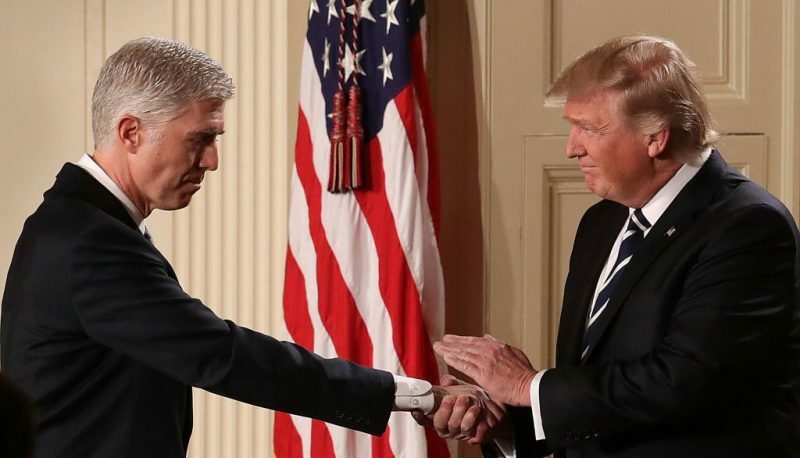 Because I am putting pro-life justices on the Court.” He also indicated he had a litmus test on the Affordable Care Act, stating in a February 2016 interview: “We’re going to have a very strong test…. I’m disappointed in Roberts because he gave us Obamacare, he had two chances to end Obamacare, he should have ended it by every single measurement and he didn’t do it, so that was a very disappointing one.” Judge Kavanaugh has passed these litmus tests, or he wouldn’t have been nominated. If confirmed, he would vote to undermine women’s control over their own bodies and sabotage accessible health coverage for millions of people, disproportionately impacting women, people of color, people with disabilities, and low-income families. The confirmation process for Judge Kavanaugh should not be rushed to fulfill a campaign promise or to reward elite Washington, D.C. interest groups or donors. Each individual Senator has an obligation to independently review his entire record, a significant portion of which has not yet been disclosed. It is a dereliction of Senators’ constitutional duty to simply allow one’s political party to determine approval of such an impactful appointment before that record is public and reviewed. The American people are represented in this crucial process in the Senate. The independent vetting that Supreme Court candidates receive has long been rigorous and this should be no exception. Justice Kennedy himself was not the first nominee to the seat he is vacating. Two nominees before him failed because of the Senate’s role, and the nation was better for it. In Priests for Life v. U.S. Department of Health and Human Services, the D.C. Circuit rejected a challenge to the ACA’s accommodation to the birth control benefit, which allows certain religiously-affiliated non-profit employers to opt out of providing birth control coverage directly to their workers by submitting a one-page form notifying their insurer or the federal government of their objections. When a qualifying employer opts out, the accommodation guarantees employees receive contraceptive coverage separately from their insurer. These objecting employers argued that the mere submission of the opt-out form rendered the organizations “complicit” in providing contraceptive coverage and thus impermissibly burdened their religious rights under the Religious Freedom Restoration Act (“RFRA”). The challengers sought rehearing en banc, and the D.C. Circuit denied it. Dissenting to the denial, Judge Kavanaugh maintained that objecting employers should have prevailed on their RFRA claim. He asserted that the filing of the form substantially burdened the organizations’ exercise of religion because they were required, in order to avoid financial penalties, to take an action contrary to their sincere religious beliefs and courts “may not question the wisdom or reasonableness (as opposed to the sincerity) of plaintiff’s religious beliefs – including about complicity in wrongdoing.” Judge Kavanaugh’s view that courts ought to accept, without question, any claim by a religious organization that a government requirement substantially burdens a sincerely held religious belief and their free exercise of religion, raises serious concerns about his willingness to allow religious beliefs to be used as a license to discriminate and deny essential health care. In Sissel v. U.S. Department of Health and Human Services, Judge Kavanaugh authored another dissent from the D.C. Circuit’s denial to rehear a case challenging the constitutionality of the ACA en banc. The Sissel court had rejected the claim that the ACA was unconstitutional because it was a revenue-raising bill, but failed to originate in the House of Representatives as required under the Origination Clause. Although Judge Kavanaugh acknowledged that the law’s passage did not violate the Origination Clause, he nonetheless argued for the full D.C. Circuit to rehear the case because of the allegedly faulty reasoning in the panel decision. As a rehearing of the case would have prolonged the uncertainty surrounding the ACA’s constitutional status, thereby hindering its implementation, Judge Kavanaugh’s position in Sissel – one that the Supreme Court did not adopt, as it declined to hear the case – provides further evidence of his skepticism of the ACA. Judge Kavanaugh has also revealed his anti-abortion views off the bench. In a speech last year to the conservative American Enterprise Institute, he praised Chief Justice Rehnquist’s opinion in Washington v. Glucksberg for “stemming the general tide of free-wheeling judicial creation of unenumerated rights that were not rooted in the nation’s history and tradition,” stating that Chief Justice Rehnquist accomplished in Glucksberg what he was unable to in Roe v. Wade. Such unenumerated rights include not only the right to an abortion but also the right to use contraception and the right to marriage equality. Judge Kavanaugh’s apparent skepticism of those rights is disturbing. Restricted Voting Rights: In two voting rights cases, Judge Kavanaugh has demonstrated his lack of commitment to racial justice. In 2012, in South Carolina v. United States, Judge Kavanaugh wrote an opinion for a three-judge panel upholding a South Carolina voter ID law that was objected to by the U.S. Department of Justice because of the significant racial disparities in the law’s photo ID requirement. Journalist Ari Berman wrote an article entitled “63,756 Reasons Racism Is Still Alive in South Carolina,” explaining: “That’s the number of minority registered voters who could be blocked from the polls by the state’s new voter ID law.” Perhaps even more troubling than Judge Kavanaugh’s opinion in this case was his refusal to acknowledge the importance of Section 5 of the Voting Rights Act. In a notable concurrence, Judge Bates – a fellow Republican appointee – wrote that “one cannot doubt the vital function that Section 5 of the Voting Rights Act played here. Without the review process under the Voting Rights Act, South Carolina’s voter photo ID law certainly would have been more restrictive… [T]he history of [the South Carolina law] demonstrates the continuing utility of Section 5 of the Voting Rights Act in deterring problematic, and hence encouraging non-discriminatory, changes in state and local voting laws.” The fact that Judge Bates felt compelled to write a separate concurrence to make this basic point about the Voting Rights Act highlights the significance of Judge Kavanaugh’s refusal to include it in his opinion for the court. This is a clear and dangerous signal about Judge Kavanaugh’s views on voting rights and racial justice in America, and it strongly suggests he would be a reliable fifth vote to continue the Supreme Court’s diminishment of the landmark Voting Rights Act. In addition to filing a brief in Rice v. Cayetano, Judge Kavanaugh also wrote a Wall Street Journal op-ed in 1999 about this case in which he revealed a lack of understanding about the rights of indigenous peoples. Rather than recognizing, as does the Annex to the U.N. Declaration on the Rights of Indigenous Peoples, that “indigenous peoples have suffered from historic injustices as a result of, inter alia, their colonization and dispossession of their lands, territories and resources,” Judge Kavanaugh made partisan allegations about the Clinton Administration Justice Department’s motives for filing a brief in support of Hawaii. He wrote: “As a matter of sheer political calculation, of course, the explanation for Justice’s position seems evident. Hawaii is a strongly Democratic state, and the politically correct position there is to support the state’s system of racial separatism. But the Justice Department and its Solicitor General are supposed to put law and principle above politics and expediency.” He also wrote: “The Supreme Court ought not be fooled by the Justice Department’s simplistic and far-reaching effort to convert an ethnic group into an Indian tribe.” When viewed against the history of U.S. injustice against Native Hawaiians, Judge Kavanaugh’s cynical and partisan comments are alarming. Opposed Equal Opportunity and Affirmative Action: In a 1999 Christian Science Monitor interview, Judge Kavanaugh said that Rice v. Cayetano “is one more step along the way in what I see as an inevitable conclusion within the next 10 to 20 years when the court says we are all one race in the eyes of government.” Judge Kavanaugh’s embrace of the right-wing fallacy of colorblindness in America is a strong indication he would be hostile to critical civil rights protections and to equal opportunity programs that advance diversity or remedy past discrimination. When he worked in the White House, he was involved in the Bush administration’s 2003 decision to file briefs asking the Supreme Court to strike down the University of Michigan’s equal opportunity admissions policies, which used race as one factor among many. In a January 15, 2003 email, Judge Kavanaugh wrote: “The Michigan program is unconstitutional because race-neutral programs should be employed…” The Supreme Court rejected that position with respect to the University of Michigan law school and ruled that because good-faith efforts had been made to utilize race-neutral alternatives, its admissions process was narrowly tailored and passed constitutional muster. Dismissive of Discrimination Claims: Judge Kavanaugh’s ideological bias can also be seen in his rulings in employment discrimination cases, where he has dissented and voted to dismiss claims that a majority of his D.C. Circuit colleagues found to be meritorious. In Howard v. Office of the Chief Administrative Officer of the U.S. House of Representatives, Judge Kavanaugh dissented from a majority decision which held that under the Congressional Accountability Act (“CAA”), an African-American woman fired from her position as House of Representatives deputy budget director could pursue claims of racial discrimination and retaliation in federal court. Judge Kavanaugh dissented, arguing that the Speech or Debate Clause of the Constitution prohibited the employee from moving forward with her claims, and he would have dismissed her case. Judge Kavanaugh’s interpretation of this constitutional provision would bar workers in Congressional offices and throughout the legislative branch from pursuing most CAA claims in federal court, including many sexual harassment, discrimination, and retaliation claims, leaving the inadequate and secret CAA administrative process as their only recourse. Especially in light of recent scandals in Congress about the treatment of staff, the potential consequences of Judge Kavanaugh’s dissent warrants serious inquiry. And in Rattigan v. Holder, the majority ruled that an African-American FBI agent could pursue a case of improper retaliation for filing a discrimination claim where the agency began a security investigation against him, as long as he did so without questioning unreviewable decisions by the FBI security division. Judge Kavanaugh dissented and said the entire claim must be dismissed, despite the majority’s warning that this was not required by precedent and that the courts should preserve “to the maximum extent possible Title VII’s important protections against workplace discrimination and retaliation.” Judge Kavanaugh’s dissents in these three cases embrace positions that carve out federal employees from the protections of federal employment discrimination laws or limit their ability to enforce such rights. In National Labor Relations Board v. CNN America, Inc., Judge Kavanaugh dissented in part from Chief Judge Garland’s majority opinion upholding a National Labor Relations Board (“NLRB”) order that CNN recognize and bargain with a worker’s union and finding that CNN violated the National Labor Relations Act (“NLRA”) by discriminating against union members in hiring. Judge Kavanaugh dissented from the finding that CNN was a successor employer, and his position would have completely absolved CNN of any liability for failing to abide by the collective bargaining agreement. Judge Kavanaugh also dissented in National Federation of Federal Employees v. Vilsack, where the D.C. Circuit majority invalidated a random drug testing program for U.S. Forest Service employees at Job Corps Civilian Conservation centers. The majority, which included another Republican-appointed judge, observed that there was no evidence of any difficulty maintaining a zero-tolerance drug policy during the 14 years before the random drug testing policy was adopted, and that the primary administrator of the Job Corps, the Department of Labor, had no such policy. Judge Kavanaugh dissented and tried to deal a major blow to employee privacy rights. The majority criticized Judge Kavanaugh, noting: “Our dissenting colleague paints with a broad brush without regard to precedent from the Supreme Court, and this court, on the particularity of the Fourth Amendment inquiry” with respect to such drug testing programs. Judge Kavanaugh’s judicial record reflects his executive authority absolutism. For example, in PHH Corp. v. Consumer Financial Protection Bureau,he ruled it was unconstitutional for the Consumer Financial Protection Bureau (“CFPB”) to be headed by a single director who could not be removed by the president without cause. He wrote the majority opinion for a conservative panel, which held that the structure of the CFPB violated Article II of the Constitution and ruled that the CFPB director should be subject to supervision and removal by the president without cause. Judge Kavanaugh asserted that independent agencies constitute “a headless fourth branch of the U.S. government” and wrote: “Because of their massive power and the absence of Presidential supervision and direction, independent agencies pose a significant threat to individual liberty and to the constitutional system of separation of powers and checks and balances.” An en banc panel of the D.C. Circuit vacated and remanded Judge Kavanaugh’s decision, upholding the constitutionality of the Dodd-Frank Wall Street Reform and Consumer Protection Act provision specifying that the CFPB director serves a five-year term, subject to removal by the president only for “inefficiency, neglect of duty, or malfeasance in office.” The CFPB’s independence has been critical to its ability to remain a steadfast enforcer of the consumer protection laws despite massive political opposition from the financial industry. A seat on the Supreme Court would allow Judge Kavanaugh and his allies to expand attacks on the ability of government to regulate and enforce the rules on behalf of ordinary people. It is also important to note Judge Kavanaugh’s role in the Bush administration’s deeply flawed detention and interrogation policies, and possible misrepresentations he made to the Senate Judiciary Committee at his 2006 D.C. Circuit nomination hearing. In response to a question from Senator Durbin, Judge Kavanaugh testified, under oath: “I was not involved and am not involved in the questions about the rules governing detention of combatants.” However, a 2007 Washington Post article reported that Judge Kavanaugh participated in a “heated meeting” in the White House in 2002 about whether U.S. citizen enemy combatants should have access to counsel. That report appears to contradict Judge Kavanaugh’s sworn testimony before the Senate Judiciary Committee. Senator Durbin sent a letter to Judge Kavanaugh in 2007 asking him to explain the discrepancy, but Senator Durbin, in recent comments he made about the Kavanaugh nomination, said that he never received a response from Judge Kavanaugh. 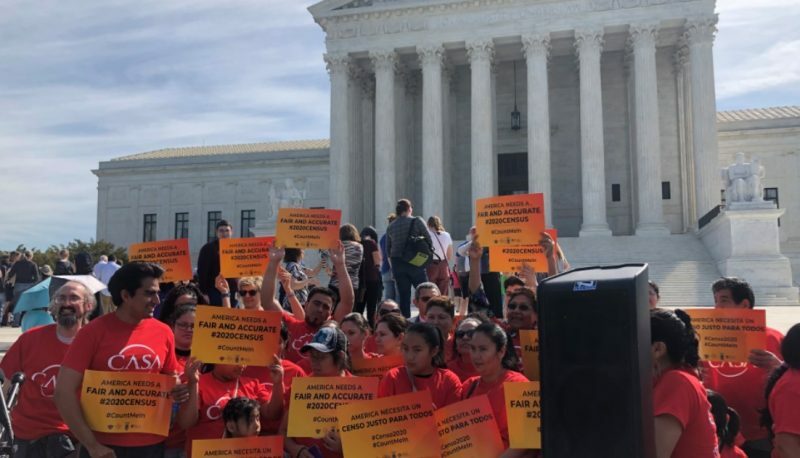 We urge Senators to demand documents relevant to his involvement in this area to determine the truth about his role in the Bush administration’s troubling detention policies. Lying to Senators under oath is a serious offense that cannot be disregarded in the confirmation process if that process is to have any legitimacy. An email released recently by the George W. Bush Presidential Library provides further evidence that Judge Kavanaugh was involved in detention issues. The June 12, 2004 email from Deputy National Security Advisor James Wilkinson to Deputy Chief of Staff Harriet Miers includes several talking points for Bush administration officials to use on Sunday talk shows in anticipation of questions about the Justice Department’s shameful “torture memo” that had been revealed by the Washington Post five days earlier. One of the talking points said that President Bush “has repeatedly made clear that torture of detainees is not permitted under U.S. policy, and he has never considered the possibility of authorizing torture.” The June 12, 2004 email stated that the talking points had been cleared by certain White House officials, including Karl Rove, but that the National Security Council “also wanted Harriet, Brett, and Andy to see them.” This demonstrates that Judge Kavanaugh had a pivotal role in reviewing and approving the White House’s public response to the torture memo disclosure. Undermined Environmental Protections: During his 12 years on the bench, Judge Kavanaugh has consistently ruled to protect polluters rather than the environment. He has opposed critical environmental protections for clean air and clean water, repeatedly ruling that the Environmental Protection Agency (“EPA”) exceeded its statutory authority in issuing rules to limit pollutants. For example, in ​EME Homer City Generation, L.P. v. EPA,​ Judge ​Kavanaugh struck down the EPA’s Cross-State Air Pollution Rule, which regulates air pollution that crosses state boundaries, as a violation of the Clean Air Act. He concluded that the EPA exceeded its statutory authority in two ways – first, by requiring upwind states to reduce emissions more than the statute requires, and second, by not deferring to the states to be the initial ones to implement the required reductions. Judge Kavanaugh went further in limiting the EPA’s authority than the conservative Supreme Court, which upheld the pollution rule on a 6-2 vote. In Howmet Corp. v. EPA, Judge Kavanaugh dissented from a decision to approve an EPA fine of over $300,000 against a company that had improperly shipped a corrosive chemical to be added to fertilizer without properly labelling it and taking other precautions to treat it as a hazardous waste. Judge Kavanaugh claimed that the EPA had misinterpreted the language of its own regulation on the subject. But this view was rejected by the two judges in the majority, Janice Rogers Brown and David Sentelle, who are among the most conservative judges on the D.C. Circuit. As they pointed out, the EPA’s interpretation was appropriate and helped prevent “significant risks to public health and the environment” from hazardous wastes. Judge Kavanaugh would have allowed the corporation’s shipment of the corrosive chemical to proceed without the precautions prescribed under federal law. In Mexichem Fluor Inc. v. EPA, Judge Kavanaugh wrote the opinion striking down a rule that banned certain uses of hydrofluorocarbons, gases used in air conditioning and refrigeration that when released into the atmosphere are extremely potent greenhouse gases. His ruling said that the EPA exceeded its authority because the statute was meant to stop ozone-depleting substances, not to allow the EPA to order the replacement of substances that are not ozone-depleting but contribute to climate change. In addition to his anti-environmental rulings, Judge Kavanaugh has advanced an anti-environmental view of the Chevron doctrine. For more than three decades, since 1984, the Supreme Court has required judges to defer to administrative agencies’ interpretations of federal law in most cases where the law is “ambiguous” and the agency’s position is “reasonable.” Conservative Justice Antonin Scalia defended the Chevron doctrine as an important rule-of-law principle. Federal agencies issue regulations addressing a wide array of civil and human rights issues, including environmental protections, immigration policy, health care protections, education laws, workplace safety, and consumer protections. Overturning the Chevron precedent would return that ultimate decision-making authority to judges, which appears to be what Judge Kavanaugh wants to do. He has said that “the Chevron doctrine encourages agency aggressiveness on a large scale. Under the guise of ambiguity, agencies can stretch the meaning of statutes enacted by Congress to accommodate their preferred policy outcomes.” And he has called Chevron “nothing more than a judicially orchestrated shift of power from Congress to the Executive Branch.”  Judge Kavanaugh’s clear intent to overturn this precedent and its progeny would impede the ability of federal agencies to carry out their vital missions. Opposed to Common-Sense Gun Safety Laws: After the Supreme Court decided 5-4 in the 2008 case ​District of Columbia v. Heller that the Second Amendment protects an individual right to bear arms, Washington, D.C. passed laws that prohibited assault weapons and high-capacity magazines, and that required certain firearms to be registered. The same plaintiff, Richard Heller, argued again that the new gun laws violated the Second Amendment. In the 2011 case ​Heller v. District of Columbia, a panel of three Republican-appointed judges ruled 2-1 that D.C.’s ban on assault weapons and high-capacity magazines was constitutional. Judge Kavanaugh dissented and would have held that the ban on assault weapons was unconstitutional. He wrote: “​In ​Heller, the Supreme Court held that handguns – the vast majority of which today are semi-automatic – are constitutionally protected because they have not traditionally been banned and are in common use by law-abiding citizens. ​There is no meaningful or persuasive constitutional distinction between semi-automatic handguns and semi-automatic rifles.​” It is troubling that Judge Kavanaugh sees no difference between assault weapons and handguns, and it is a strong indication that he, like President Trump, will cater to the gun lobby. During the 2016 campaign, President Trump stated: “I’m very proud to have the endorsement of the NRA and it was the earliest endorsement they’ve ever given to anybody who ran for president…. We are going to appoint justices that will feel very strongly about the Second Amendment.” Judge Kavanaugh clearly passes this litmus test. Pro-Government Bias in Criminal Cases: Judge Kavanaugh reflexively rules for the government in criminal cases. A report by People For the American Way indicates that Judge Kavanaugh has written 12 dissents in criminal and law enforcement cases, and he has ruled for the government in 10 of the 12 cases. For example, in United States v. Askew, a majority of the en banc court, including three Republican-appointed judges, reversed a lower court and decided that the police violated the Fourth Amendment rights of a suspect by unzipping his jacket to search him without a warrant after a stop and frisk produced no results. Judge Kavanaugh wrote a dissent and claimed that the action was justified because it was a reasonable continuation of the stop and frisk and it helped police in showing the subject to a witness at an alleged robbery. The majority rejected Judge Kavanaugh’s analysis. Sought to Undermine Church-State Separation in Education: As an attorney in private practice, Judge Kavanaugh was part of the legal team representing former Florida Governor Jeb Bush’s effort to create the Opportunity Scholarships Program, a school voucher program in Florida that would direct public money to private schools by providing students who decide to leave some of the state’s lowest-rated public schools with about $4,350 in tuition aid they could use in private or religious schools. Notably, students attending these private schools receiving public funds would not have the same civil rights, including their right to services as a child with a disability, as if they were in a public school. In 2006, the Florida Supreme Court struck down the program as a violation of the state constitution’s provision that requires a “uniform” system of public schools for all students. In Santa Fe Independent School District v. Doe, Judge Kavanaugh wrote an amicus brief on behalf of Republican members of Congress in which he argued that the use of loudspeakers for student-led prayers at high school football games did not constitute a violation of the Establishment Clause of the First Amendment. In his brief, he accused the other side of advocating that Christian students receive fewer rights than Nazis and KKK members. 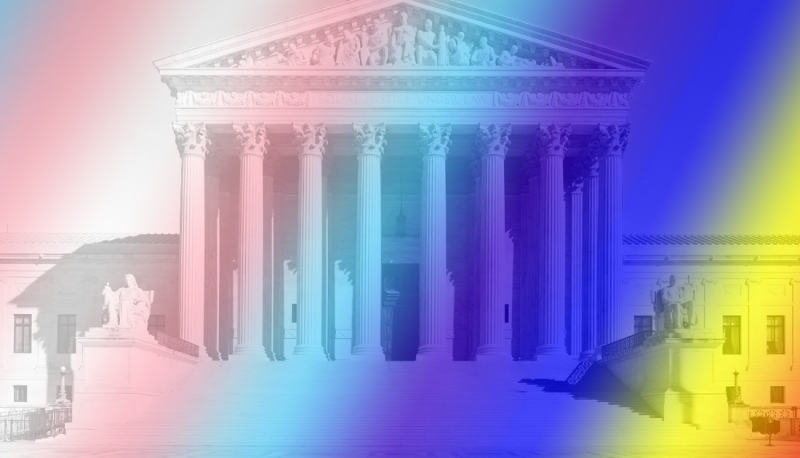 Judge Kavanaugh wrote: “But offense at one’s fellow citizens is not and cannot be the Establishment Clause test, at least not without relegating religious organizations and religious speakers to bottom-of-the-barrel status in our society – below socialists and Nazis and Klan members and panhandlers and ideological and political advocacy groups of all stripes, all of whom may use the neutrally available public square and receive neutrally available government aid.” The Supreme Court rejected his hyperbolic argument 6-3, ruling that the prayer involved both perceived and actual endorsement of religion. Ideological Jobs and Affiliations: Judge Kavanaugh’s right-wing ideology is reflected not only in his judicial record but also in his earlier career as a partisan lawyer. After clerking for Third Circuit Judge Walter Stapleton, Ninth Circuit Judge Alex Kozinski, and Supreme Court Justice Anthony Kennedy, he went to work for Kenneth Starr to conduct investigations into President Clinton. Judge Kavanaugh was one of the primary authors of the infamous Starr Report, in which he laid out in graphic detail the case for impeachment. He then went to work at the Washington, D.C. law firm Kirkland & Ellis, LLP, where he represented corporate clients and Republican causes and politicians. In 2000, he worked as the Mid-Atlantic regional coordinator for the Bush-Cheney campaign, and he traveled to Florida to observe the recount as part of the Bush v. Gore litigation. He was rewarded with plum White House positions and ultimately a judgeship. From 2001 to 2003, Judge Kavanaugh served as Associate Counsel to President Bush, and from 2003 to 2006 he served as the Assistant to the President and Staff Secretary. In these positions, he worked on the nominations of several contentious judicial nominees – including Charles Pickering, Miguel Estrada, Priscilla Owen, Carolyn Kuhl, and many others – before he himself was nominated to the D.C. Circuit in 2003. He also worked on many policy issues, including Executive Order 13233, which revised the Presidential Records Act to make it easier for presidents to withhold documents from the public. Due to his controversial background and the intense opposition to his confirmation, it took three years for Judge Kavanaugh to be confirmed, and he was confirmed on a largely party-line vote. Ties to Judge Kozinski: As workplace and sexual harassment gain national attention in the midst of the #MeToo movement, Senators must ask Judge Kavanaugh what he knew about Judge Kozinski’s sexual harassment and assaults of his law clerks, when he learned of it, and what actions he took in response. Judge Kavanaugh has reportedly remained close friends with Judge Kozinski since his 1991-1992 clerkship. Judge Kozinski resigned from the bench in December 2017 following numerous allegations by at least 15 former law clerks of severe sexual harassment and abuse. Long before the Washington Post exposed the allegations against him in 2017, Judge Kozinski’s sexualized and abusive behavior was an open secret in the legal profession. Judge Kavanaugh and Judge Kozinski reportedly worked together for years as clerkship screeners for Justice Kennedy. This process led to many applicants who had previously clerked for Judge Kozinski obtaining clerkships with Justice Kennedy. As a result, Judge Kavanaugh helped maintain the prestige of a Kozinski clerkship, which no doubt had the effect of encouraging many young attorneys to continue to seek Kozinski clerkships despite the widespread rumors of abusive behavior. One former Kozinski law clerk has stated: “It is unfathomable to me that his [Judge Kozinski’s] closest associates did not know, and Kavanaugh was a very close associate. To not know would require a degree of willful blindness which is, in my mind, as disqualifying as actual knowledge. The last thing this country needs is a Supreme Court Justice who squeezes his eyes shut so tightly that he can’t see what’s in front of his face.” Professor Joanna Grossman, who clerked for a different judge on the Ninth Circuit, has said: “When I clerked on the Ninth Circuit, Kozinski sent a memo to all the judges suggesting that a rule prohibiting female attorneys from wearing push-up bras would be more effective than the newly convened Gender Bias Task Force. His disrespect for women is legendary.” Judge Kavanaugh must be truthful and forthcoming about any knowledge or awareness of Judge Kozinski’s predatory and abusive behavior. Judge Kavanaugh is an ideological extremist with a clear partisan agenda. He lacks the fair-mindedness necessary to serve a lifetime appointment at the highest level of the branch of government charged with making the ultimate decisions about our rights, freedoms, liberties, and the meaning of our laws and Constitution. Chairman Grassley has implemented a biased and unscrupulous process to review Judge Kavanaugh’s Bush White House records, which has denied the Senate and the American people the opportunity to learn about the nominee’s full record. As ten members of the Senate Judiciary Committee forcefully wrote in a recent letter: “[T]here is no legitimate reason for the Senate to rush this nomination and fail to perform its constitutional duty. This is especially true, when the President, who faces significant legal jeopardy, chose the one candidate who has consistently and clearly expressed doubt as to whether a sitting president can be investigated or indicted for criminal wrongdoing.” In light of the astonishing and unprecedented circumstances facing this nation, the Senate should not move forward with the consideration of Judge Kavanaugh for a lifetime position on the Supreme Court.